Column: What purpose does satire serve? The tragic shootings at the offices of Charlie Hebdo early this past January are well known, but less known is the author who was lampooned on Hebdo’s cover the day the shootings occurred. 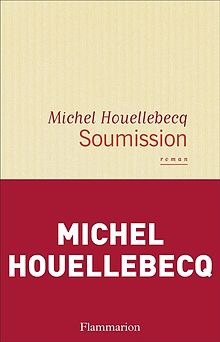 Michel Houellebecq, a literary celebrity in France and abroad, recently gained attention with the forthcoming publication of his new novel, “Soumission” (‘submission’ in English), a satire in which France becomes part of a larger Islamic state in the year 2022. Apropos to their joking nature, Hebdo decided to print an ugly caricature of Houellebecq on the cover of their Jan. 7 issue, both celebrating the release date of “Soumission” and ironically making fun of its author for making fun of Islam the day after they themselves made fun of Islam. “Soumission” gained the attention of the French president François Hollande, who said in an interview with France Inter radio, that he would read the book because it was “sparking a debate.” In my opinion, that such a novel by such an author would spark debate significant enough for the French president to consider reading is remarkable. I have not personally read “Soumission” as I do not know French (and the English translation won’t be out until later this year), but once I am able to read it, it will be interesting to see what kind of debate it has sparked. Historically, satirical novels have served the purpose of picking apart the subtleties of problematic cultures through intricate storytelling. I would invite anyone interested in current events to consider how the role of satire — especially literary satire — plays in how we make sense of the societies we live in. What could a satirical novel by a polemical author have to offer a president already entrenched in the social backlash of the shooting at Charlie Hebdo’s offices? Doesn’t popular sentiment and debate in the public forum speak for itself? Hadn’t Hebdo already blazed the trail for France’s bitter, self-deprecating satire? Or could it be that the type of satire that Houellebecq offers in “Soumission” is something only within the capacity of the novel form? A satirical novel does not have to be immediately popular to have an effect on the society it mocks (Mikhail Bulgakov’s “The Master and Margarita” is a great example of this) but it must have ideas in it that are worth reading. Though the satirical novel may not share the mass appeal that an easily-consumed magazine article does, its lasting power is in the strength of the observations it makes.